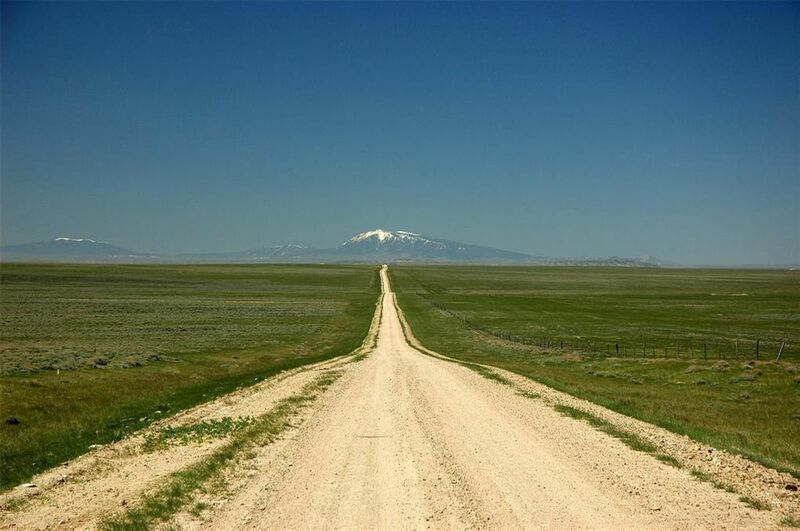 Escape to West and enjoy the Big Vistas of Wyoming! This is some great recreational property, just under 77 acres of remote Wyoming land on a county road in an area with lots of wildlife! 80 miles north of Laramie & 80 miles south of Casper. Approximately 28 miles north of Medicine Bow (pop 250) via paved and gravel roads. Just 200 yards from 1000's of acres of BLM public land for recreation; 15 miles south of the Laramie Mountains where there is National Forest land and elk, moose, bear, bighorn sheep, turkeys and grouse. County road access, but the county may not be very quick to maintain! And at 7000 feet in elevation it is a challenging area for year-round living. Power is 3 miles away, but it is a great area for solar or wind power. Unobstructed views of Elk Mountain, the Laramies and the Shirley Mountains. Lots of antelope and deer, occasionally elk. 2 parcels being sold as one, but will sell individually for $27, 500. Directions: North on HWY 487 out of Medicine Bow 2.5 miles, east on 9 Mile Rd to Marshall, north 15 miles.